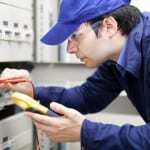 If you are looking for a commercial electrician in the Belmont area, give us a call today for more information. 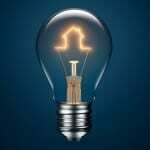 There are a few factors that distinguish a commercial electrician from a residential electrician. A residential electrician works on homes where the wiring often isn’t as complex as it is within commercial structures. A commercial electrician could work on anything from a massive skyscraper to a single-story office building with the same skills. Daily duties might include installation of conduits; maintenance, installation, and repair of wiring and various electrical devices; and testing of electrical systems to ensure safety. When a commercial electrician is working on a structure, he or she will often review blueprints to assess appropriate locations and sources of electrical power. Commercial structures have very different codes and requirements for safety and protection of those who use the buildings. This is another area in which a commercial electrician differs from someone who works on residential buildings. If your electrician isn’t familiar with local requirements (because they do differ in various states, cities, municipalities, etc. ), then you could wind up with a finished product that won’t pass an inspection. At Lamm Electric, all of our experienced electricians are aware of building codes and only perform work that meets these requirements. If you are looking for a commercial electrician in the Belmont, North Carolina area, give us a call today for more information. Our focus is on prompt and reliable service, so we can get your facility up and running without too much downtime. In a commercial setting, downtime often means a loss of profit, so we will make sure to get the job done as quickly and efficiently as possible.